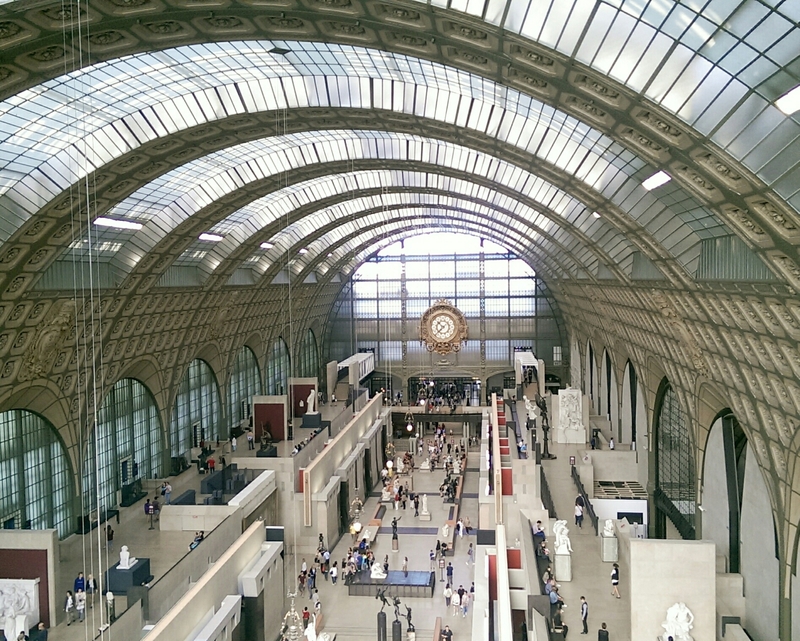 While the Louvre is definitely a museum not to be missed, le musée d’Orsay is my personal favourite. I love the history of the building, its architectural style, and, above all, it contains some of my most adored pieces of art. I put some thought into planning this outfit before I left. 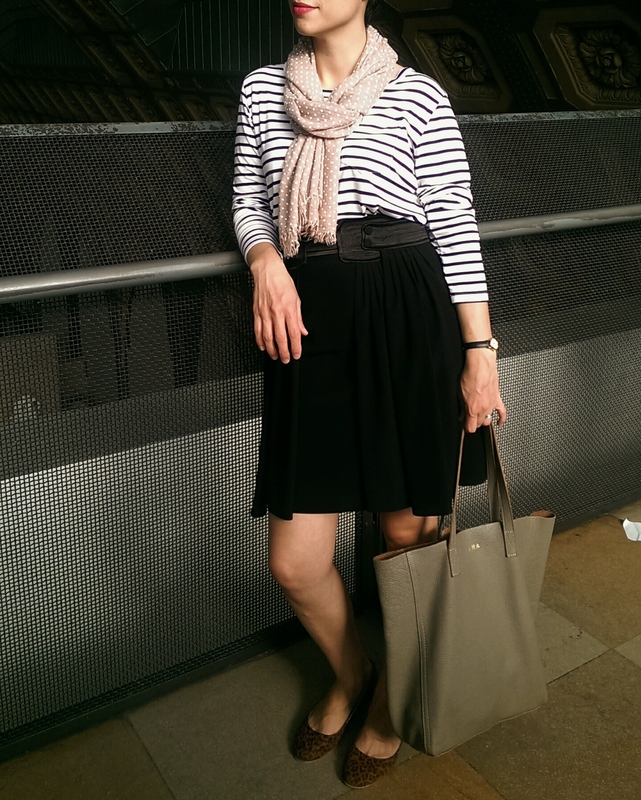 Initially, I thought about wearing my Popbasic’s Le Breton with navy trousers. That works well too. But I wanted something a bit more special for this museum and for my first outfit with Le Breton. I’ve had this Mango skirt since early 2010 and it’s a constant in my Summer travel suitcase. It’s very light, doesn’t wrinkle easily and works well both day or night. It’s a very special skirt as my aunt gave it to me for my birthday and first visit to New Zealand. So, it was only fitting that I’d wear my special skirt to see my favourite paintings. I have to say it was a bit of an emotional encounter. 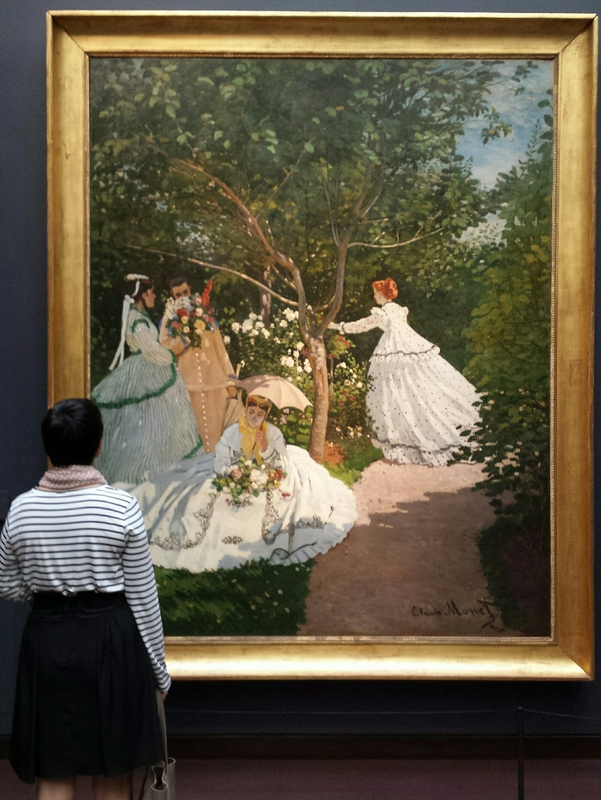 Honestly, I’d never experienced such a reaction at the sight of a painting. Maybe it was all those years admiring Monet’s work. 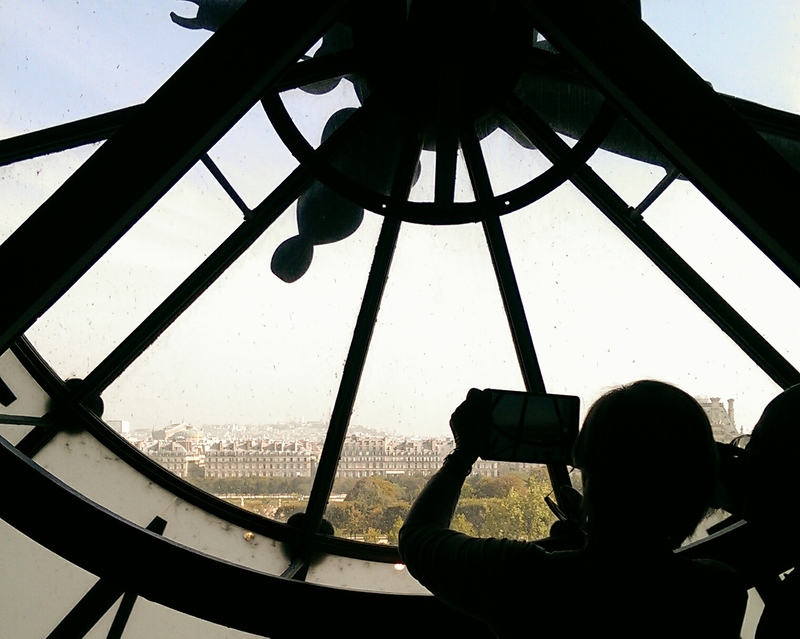 Maybe it was the waiting – it’s been about 14 years since I’d last been to Paris and Orsay was closed at the time so I couldn’t visit! Whatever it was, it resulted in an unforgettable museum experience. I’d go back in a heartbeat! The outfit: Popbasic’s Le Breton, Mango polka dot foulard, Mango skirt, ShoeDazzle leopard print flats, Cuyana Tote (stone). The makeup: Chanel Vitalumière Aqua foundation (30 Beije), Bourjois little round pot blush (Rose Coup De Foudre, 16), Antipodes Hit Me With Your Best Shot lipstick. Oh, look, I know I have shared outfits inspired by European summers before but no, I’m not likely to stop any time soon. Even though it’s been almost a month since we’ve been enjoying* Winter in Auckland, I just can’t seem to shake away a Summer feeling. *And I do mean enjoying because, let me tell you, this has been a really mild Winter so far. The pink basic tee is from Popbasic’s Jane collection,which is available from the 1st of July (only 3 days to go whoop, whoop!). The Jane collection also includes the necklace I used on the board and a black pencil skirt (not featured). If you’re thinking of ordering the collection, don’t forget you can get $15 by signing up here or clicking the Popbasic button on the side bar. On other Popbasic news, look what’s going to be available for pre-order from July 8!!! Yes! It’s a red Le Breton!!! If you can’t tell from the excessive use of exclamation points, yup, I’m excited. How about you? This was a long one hey? At least I tried to make it up to you by adding all these pretty images :), thanks to Popbasic/Maddy for sending them over. I hope you have an amazing weekend! I’m now off to the Auckland Arts & Crafts fair and hope to be back with a few goodies to share! 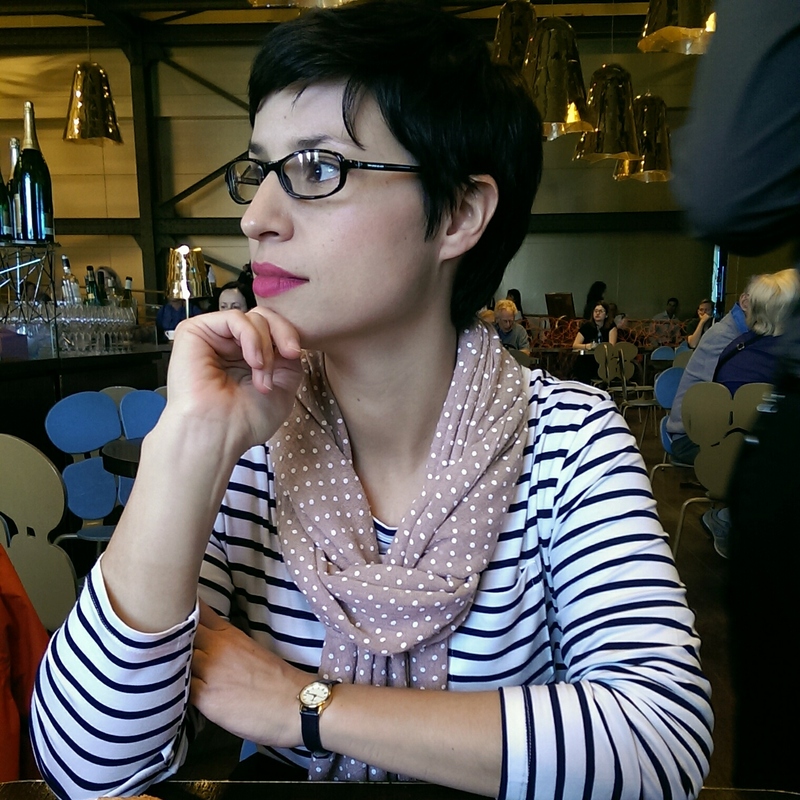 Popbasic’s Le Breton is back! Qui aime Le Breton? Moi, moi! Vous savait déjà que j’ai une petite obsession pour les t-shirts rayés! 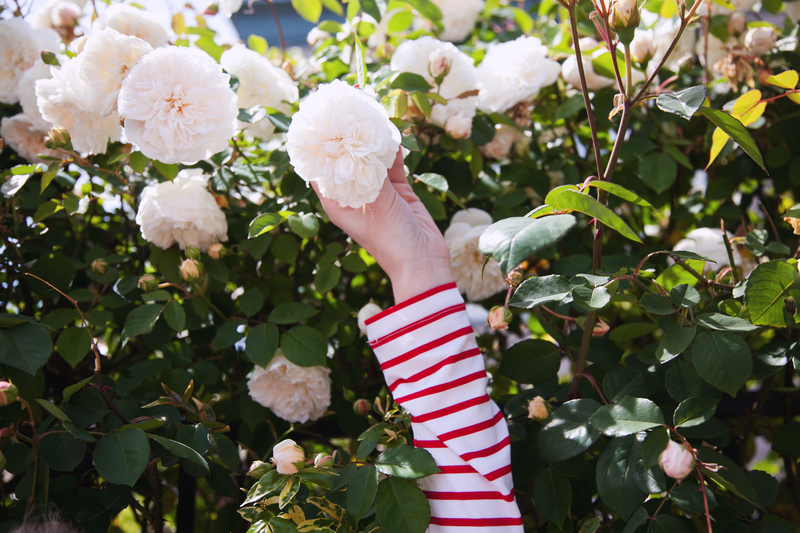 Alors, voilá – Popbasic’s Le Breton tee is finally available again! I have talked about Popbasic here on the blog many times before and this shirt is what started it all. It is now available for pre-order until the 14th of May and I have already placed my order – I’ve been waiting for this for almost a year now! In line with my own rules, this shirt is not a random, impulsive purchase – it will actually be replacing 2 old le breton tees that are on their way out. The shirt costs $48 and Popbasic is an ethically aware small business with free shipping worldwide. As many other brands, their items are made in China and you can hear co-founder Madeline answer a few questions about their relationship with the factories here (minute 4 onwards). Popbasic has given me the opportunity to join their ambassador program and gift you $15 credit towards your next purchase. All you have to do is signup to Popbasic* and voilá. *Concerned that they will clutter your inbox? Worry not. They only email once a month with beautiful updates! You can use your credit straight away on your pre-order for Le Breton or wait for one of their next micro collections. Next up is Paloma, which will be released mid-May. Let me know if you get as excited as I do with striped, nautical tees. Do you also find them extremely flattering and easy to wear? Hope you’re having a great week and thanks for reading! p.s. please note that there are referral links in this post – for more information on Pobasic’s referral program see here. You can also read my disclosure policy here. I found out about PopBasic recently on instagram and was immediately drawn to it. Well, to be more accurate, it was this striped shirt that got my attention, being the sucker for striped shirts that I am! As I checked their website though, I found the whole concept around it quite interesting. PopBasic is a brand with a fairly novel approach to selling their products. Every month they release a limited edition three-piece collection. This can include basics, such as this striped shirt, or trend pieces, as that leather clutch. Quality, not quantity, is what comes to mind. And, as some of you will know, that aligns perfectly with my own personal approach to style and purchasing. Ahh well…At least I can still have fun with it on polyvore!